The first step in the creative problem solving process for teams is to gather information about the problem. In order to effectively solve the correct problem, the team needs to know as much about it as possible. Facts are small pieces of well-known data. Facts are based on objective details and experience. Opinions are also based on observation and experience, but they are subjective and can be self-serving. When a fact and opinion are presented together, it is an opinionated fact, which may try to indicate the significance of a fact, suggest generalization, or attach value to it. Opinionated facts are often meant to sway the listener to a particular point of view using the factual data. Concepts are general ideas or categories of items or ideas that share common features. Concepts are important pieces of information to help make connections or to develop theories or hypotheses. Assumptions are a type of concept or hypothesis in which something is taken for granted. Procedures are a type of information that tells how to do something with specific steps. Processes are slightly different, describing continuous actions or operations to explain how something works or operates. Principles are accepted rules or fundamental laws or doctrines, often describing actions or conduct. When tackling a new problem, it is important to talk to anyone who might be familiar with the problem. Your team can gather a great deal of information by asking questions of different people who might be affected by or know about the problem. Remind them to ask people with years of experience in the organization, and lower-level employees. Sometimes their insights can provide valuable information about a problem. Who initially defined the problem? What is the desired state? What extent is the roof being damaged? When did the employee finish his training? How can we increase our market share? One important source of information on a problem is to ask if it has been solved before. The team should find out if anyone in the company has had the same problem. This can generate great information about the problem and potential solutions. Send questionnaires out to employees, customers, or other people concerned with the problem. Observe the procedures or processes in question first hand. Create focus groups to discuss the problem. A problem can be defined as a scenario in which the current situation does not match the desired situated. A problem arises when actual performance does not match expectations. Problems are also referred to as challenges and opportunities, or any situation for which there is room for improvement. Creative problem solving is a structured approach to finding and implementing solutions. As the name suggests, creative problem solving involves creativity. The team comes up with innovative solutions to problems, rather than obtaining help to learn answers or implementing standard procedures. 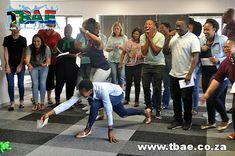 The following are some of the team building exercises that TBAE uses to promote creative problem solving skills within teams. 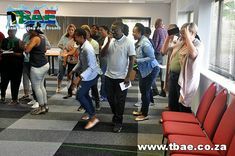 At the beginning of the Model Replication team building exercise, the group is divided into teams which will compete against each other. Each team is given the same components of the model they have to build. The model that the teams need to replicate has been pre-made and hidden from view. The object of the exercise is for the teams to replicate this model with the pieces that they have received. Only one member at a time is allowed to go and view the model that must be replicated. The team member then has to come back and explain to the rest of the team how the model should look. When the team member comes back, another team member is allowed to go and view the hidden model. When all the teams have completed their model, the hidden model is revealed, and the models created by the teams are compared to it. The team whose model looks the most like the hidden model is declared the winner. This activity is much harder than it looks. The team stands in a circle, and the objective is to move the Hula Hoop down from above waste height to the ground. There are certain restrictions in terms of how the Hula Hoop is allowed to be held. 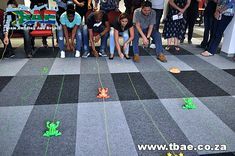 Team Building and Events movie making team building event is a fun and interactive activity suitable for everyone regardless of their age, level of fitness or physical abilities. 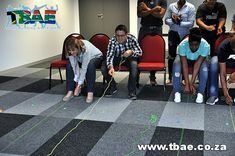 The participants of the team building event are divided into teams. 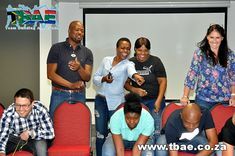 The members of the teams have to work together to write a script, produce, direct and act in the “Movie” using limited resources. 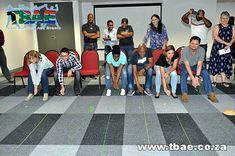 Participants are encouraged to tap into their creative and practical abilities as they start to produce their movie. 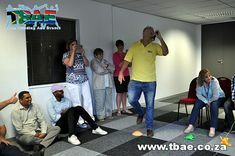 This event is not only an excellent team building tool but also provides great entertainment when the movies are viewed at the end of the day and rewards given. Each team member needs to stand on the small carpet. 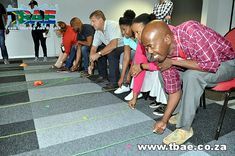 The carpet then needs to be turned over without any body part of each team member touching the floor. Some interesting body positions. 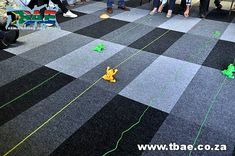 In TBAE’s Art Workshop, participants are divided into teams, and each team is given an individual canvas on which to work. All the canvasses are combined at the end of the exercise to create one work of art. Each team works on their section of the painting believing that the object of the event is to produce the best work of art on their particular canvas on which they are working. While the teams are working on their canvas, they have no idea what the other teams are doing and that they are, in fact, working on a single goal and not competing against each other. The end result is a combination of art works each having its own unique style, but creating one new original work of art. 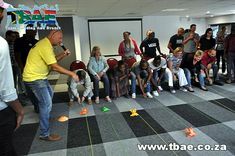 Two team members at a time are blindfolded, and the rest of the team need to communicate to them which objects to pick-up. 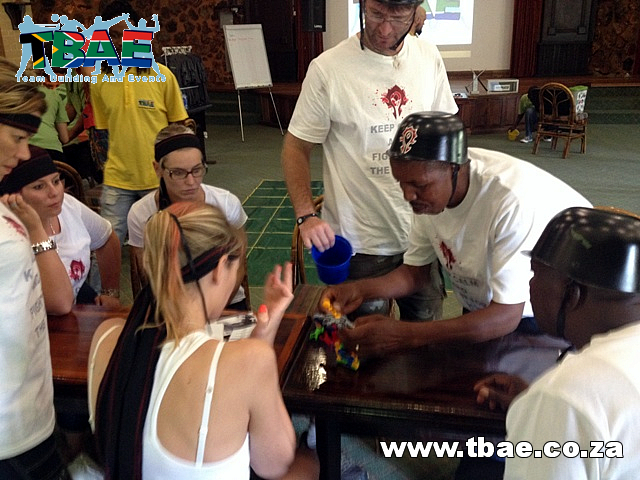 Each team member needs to have a turn to be blindfolded before the team can move onto the next activity. In the Murder Mystery team building event, guests arrive for dinner looking like their character role (we bring all the costumes, characters, scripts and clues that you will need). The fun begins as each person tries to prove their innocence by proving someone else at their table guilty. The murder plot is played over a meal (from simple snacks to five course gourmet meals). A “murder” is announced, and this becomes an excuse for the guests to enter a period during which they tend to reveal the biggest lot of fabrications, deceit and cover-ups imaginable.